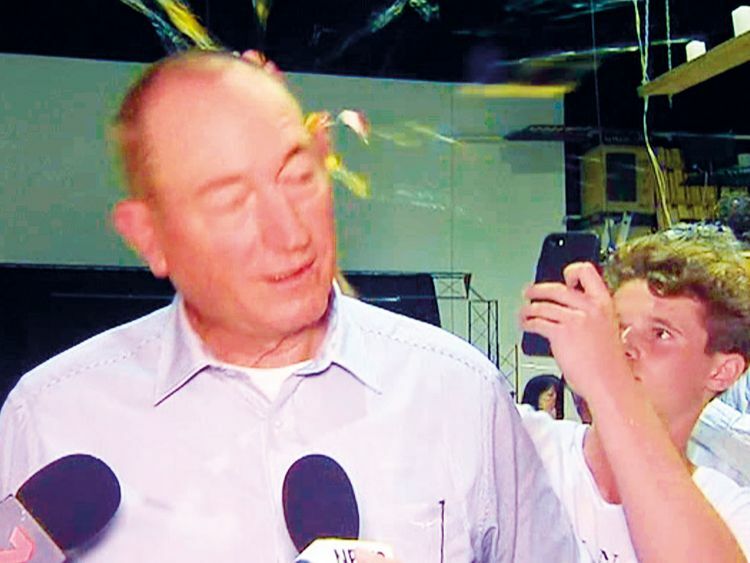 Canberra: Australia’s prime minister on Sunday suggested an anti-Muslim senator should be charged after he slapped a teen, who cracked a raw egg over the legislator’s head. A GoFundMe page set up to raise A$2,000 (Dh5,149) to pay for Connolly’s “legal fees” and “more eggs” had exceeded A$25,000 on Sunday. “Get the journalists out of here ... If you don’t like, get out,” Erikson was quoted as saying.